Cryotherapy Treatments For Multiple Sclerosis Linzy's Story, Shrewsbury. Cryozone Health. Back in December 2014 I was diagnosed with Multiple Sclerosis (MS). Prior to my diagnosis, I had been suffering with unexplainable chronic fatigue, numbness, pain and had experienced problems with my balance and mobility. 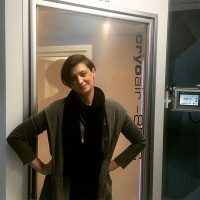 Since diagnosed, I became a member of numerous online groups for MS sufferers and my research within these groups led me into investigating whole body cryotherapy to manage the symptoms of the condition. After travelling abroad to experience the positive results of cryotherapy, I was thrilled to have Cryozone open on my doorstep. 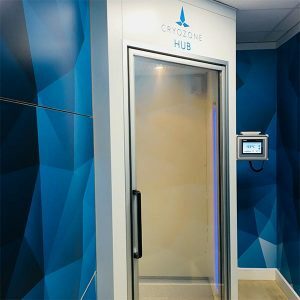 Cryozone has enabled me to have regular access to treatment, that is widely recognised to be very effective in alleviating inflammation, a major contributor in symptoms of MS. Whilst a cure for MS is currently not available, my visits to Cryozone have shown a positive impact on my day to day activities. I have experienced reduced fatigue, reduced neurological pain, an improvement in my mobility and a greater sense of general well being. I believe that the treatment has also given me more confidence in undertaking day to day activities – for example, only a couple of months ago, I was dreading the prospect of Christmas shopping, now I feel that I can do this independently and unassisted. I am looking forward to the continued positive benefits of this treatment and the changes that it will hopefully make to my life.